I usually like cafés where I can sit back and relax, read some magazines while enjoying a latté with a nice kanelbullar or some cake. But sometimes, I find myself running from one meeting to another and, while I wish I could take 15-20 minutes to relax in a nice café, all I need is 5 minutes to drink a quick espresso. 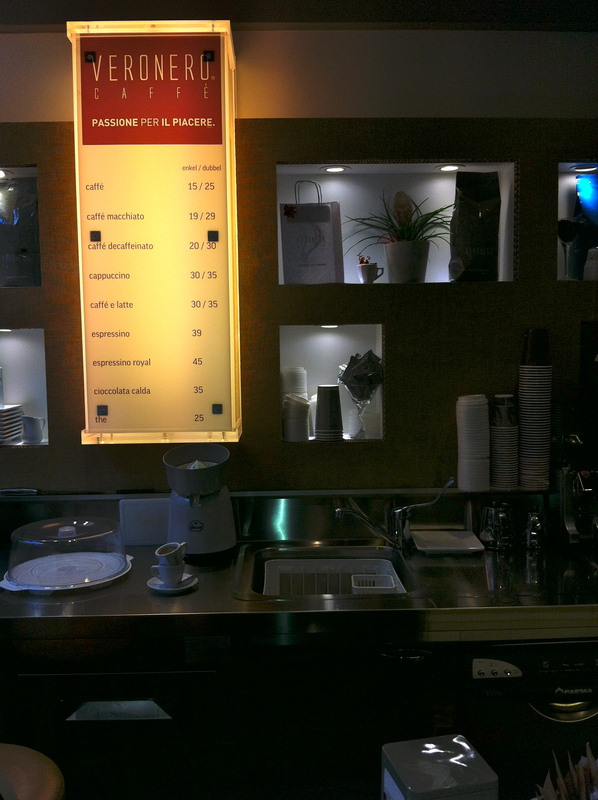 Thankfully, there are more and more cafés in Stockholm which are made just for this: no tables, no chairs, no newspapers… just a counter and excellent coffee. A few months ago I discovered Sempre. Today, it was Veronero! Life as an expat comes with many advantages. One of the challenges though is being away from friends and family during special moments like the holiday season. As time passes, I got used to not celebrating Christmas and I totally forgot that it would be chaos in stores today. So, when I headed out at lunch time to run some errands, I quickly abandoned in the face of so many people doing their last-minute Christmas shopping. My stuff could wait a few more days. Since I was out, I decided to check out this café on Vasagatan which I had spotted at my last visit to the International Press Club. Veronero feels real. It’s small and the only customer during my short visit was an Italian (Vittorio) who comes from a small place 30 minutes away from Barberino di Mugello (that’s important info folks because I was in Barberino di Mugello during my holidays in Tuscany this summer!). The owner is also Italian but I don’t know where he is coming from! 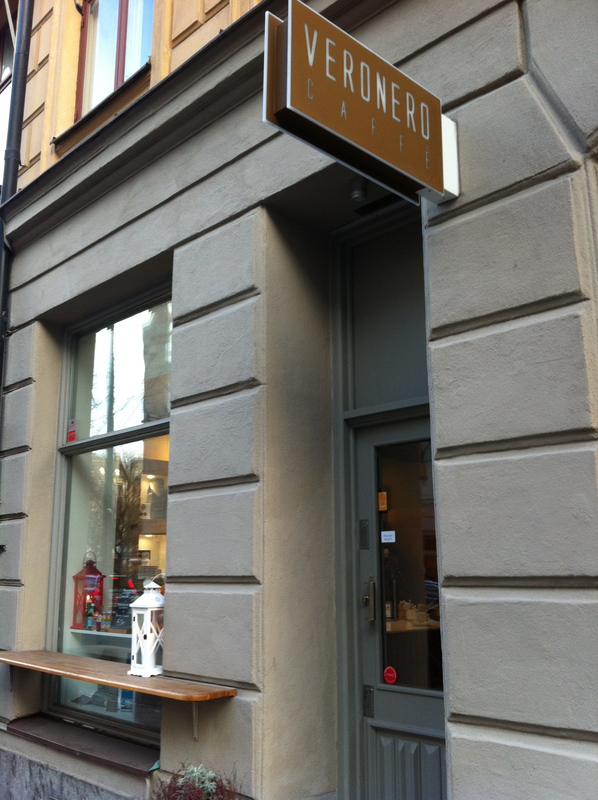 I understood that Vittorio now lives in Stockholm because his daughter lives here. I say “understood” because Vittorio spoke mostly Italian to me, although to be fair he also said a few words in French. The owner only spoke Swedish to me. Now, you can imagine that discussion between two Italian guys and a French Canadian with a mix of Swedish, French and Italian. But that’s also one of the advantages of life as an expat. 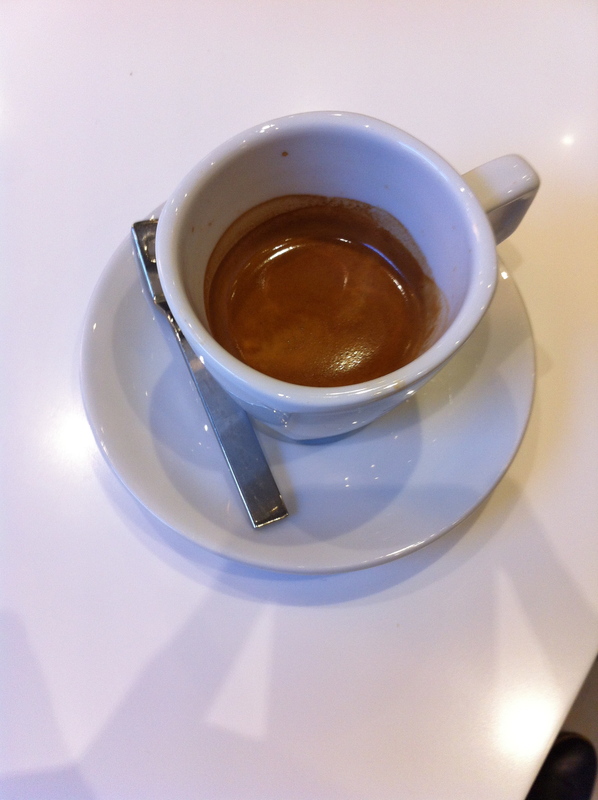 Especially when the discussion takes place over a nice double espresso. 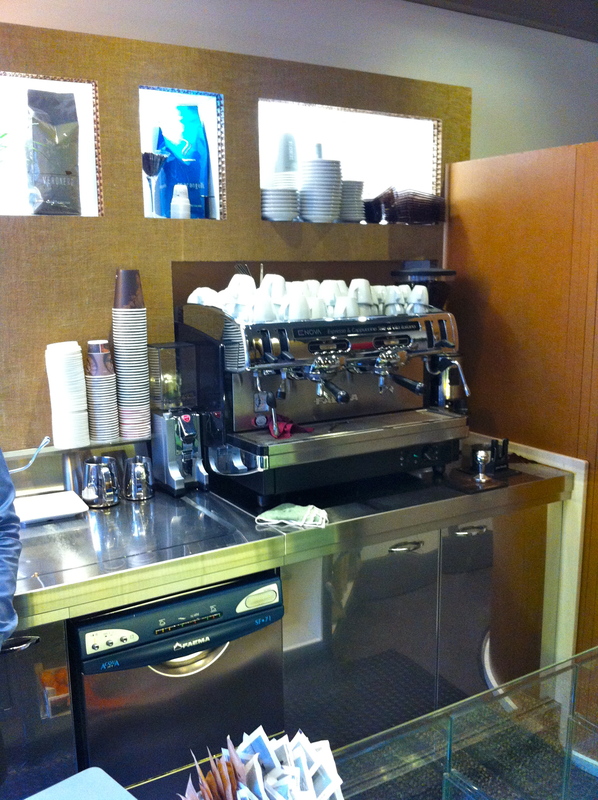 Veronero is definitely an espresso bar of the 21st century. Everything is clean and high tech. While I am used to cool and innovative stuff in Stockholm, this is the only place where I have paid my coffee by inserting my bank card into an iPad and signing with my finger on the screen. Frankly, I am not quite sure how one can validate a signature made with a finger on an iPad but it seems to work. I don’t even know if Veronero is open on weekends. But it doesn’t really matter to me as this is the kind of place where I will go to when I am running between meetings in town. The kind of place where I will go for a quick espresso when I need a little something to keep up with the busy pace at work. That being said, Vittorio did not seem to be in any rush and he was certainly enjoying his time at Veronero. He had enough time to express his concern about the fact that I did not have a wife in Stockholm. He seemed to be somewhat reassured when I told him that I had a girlfriend in Paris. I suspect Vittorio will be at Veronero again for my next visit and I fully expect him to ask for an update on my Paris fiancé! Good article and it’s so nice to read about my friend, the owner. I know where he comes from!!! He is from Bari, southern Italy!!!! Nice to see you here again 🙂 God Jul och Gott Nytt År! Tack Jenny! Det känns bra att vara tillbaka. Jag hade mycket att göra och jag gick till The Philippines att arbeta lite efter typhoon Haiyan. Jag är glad att vara hem för Jul! God Jul och Gott Nytt År i Göteborg!